The idea for BALIS was born in Loretta Bar in Munich over a fresh gin basil mule. The unmistakable aroma of basil, the mild spicy flavour of ginger, the finely sour lime – this is exactly the refreshing taste that we wanted to bottle. Said, done. BALIS was born. BALIS basil ginger lemonade is the perfect balance between sweetness and spiciness. A drink that is refreshingly different and surprisingly versatile. Whether pure, as BALIS Spritz or BALIS Mule with gin, vodka or amaro, BALIS hits the mark. At BALIS, good taste is what matters. We therefore place great emphasis on the high quality of our ingredients and use natural fruit sweetness and natural aromas – everything vegan and gluten-free. The simple design and classic form round off this commitment to quality and allow us to focus on what matters: the drink. 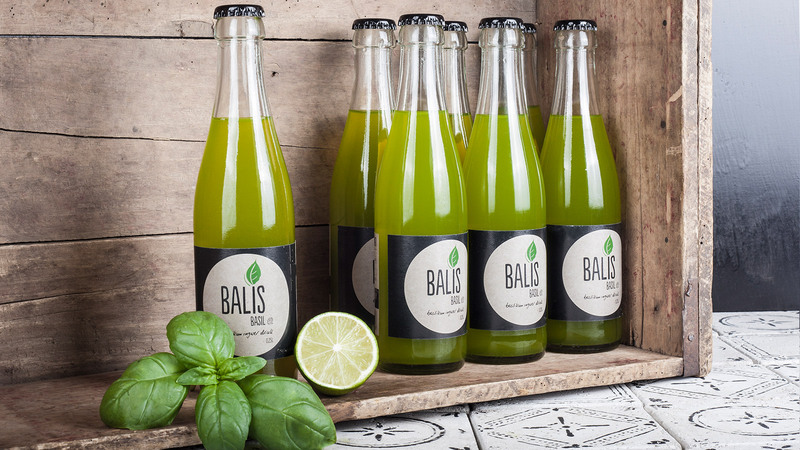 BALIS offers the perfect alternative for every taste and occasion, true to the motto “good drinks, made easy” – whether in its pure form or mixed with alcohol. BALIS is as passionate about the environment as it is about taste, which is why we use reusable glass bottles. After all, there’s already enough plastic being thrown away. Everything that you see in, on and around a BALIS bottle is sourced from regional manufacturers. That is how we can guarantee the highest quality, and make a small contribution to conserving resources thanks to shorter supply routes.